TO MAKE GRENADINE: Combine equal parts sugar and unsweetened pomegranate juice over low heat. Stir until dissolved and cool before using. Will keep for 1 week in the refrigerator. TO MAKE COCKTAIL: Shake all ingredients and strain into a tall glass. Add ice and top with sparkling wine. 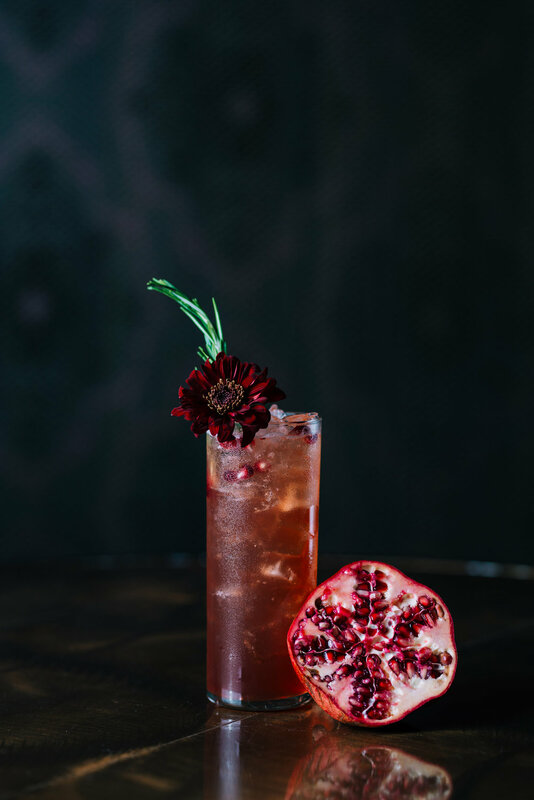 Garnish with fresh rosemary and pomegranate seeds.